On October 5, 2017, St. Mark's celebrated the installation of our first full-time rector, The Rev. Roy Tripp, during a special service hosted by our friends at St. John's Lutheran Church. Held on a Saturday or Sunday nearest the Feast Day of St. Francis of Assisi on October 4, parishioners, their guests, and members of the community are encouraged to bring pets of all kinds to be blessed by the priest. Following the Bishop's annual visit to confirm and receive new members and to reaffirm existing members, a reception is held on the lawn to honor the confirmands, their families, and guests. 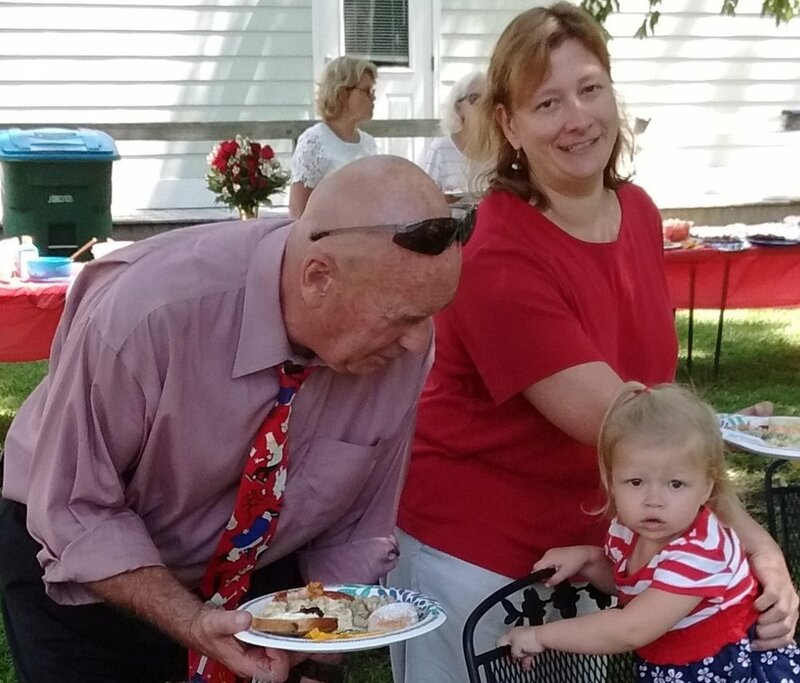 This get-together in the fall allows St. Mark's grill masters to show off their skills as everyone gears up for a return to the regular service schedule and other church activities. It also allows us to welcome home those who are elsewhere during the summer months. "Foyer" is a French word meaning "hearthside," implying the warmth of a close group of friends sharing a common love and concern for one another. 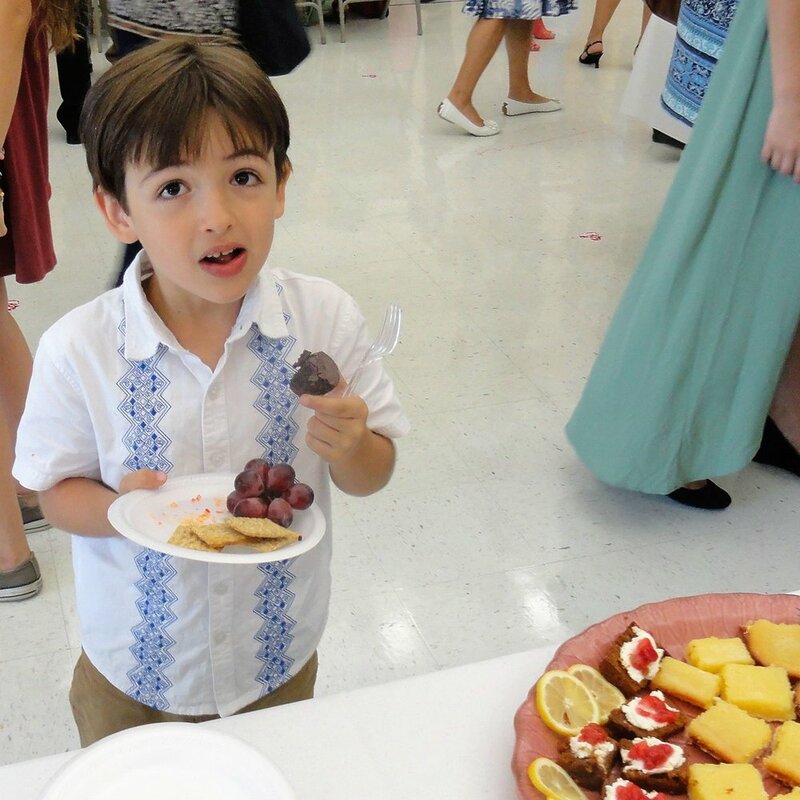 Being part of a Foyer Group at St. Mark's is a great way of strengthening the St. Mark's family and of supporting our mission of loving and serving the world. St. Mark's Foyer Groups are small groups from our congregation (usually made up of 8-10 adults) that meet to share a simple meal and fellowship on a regular basis, about once a month, often rotating among one another's homes. Foyer Group membership changes in the fall of each year. 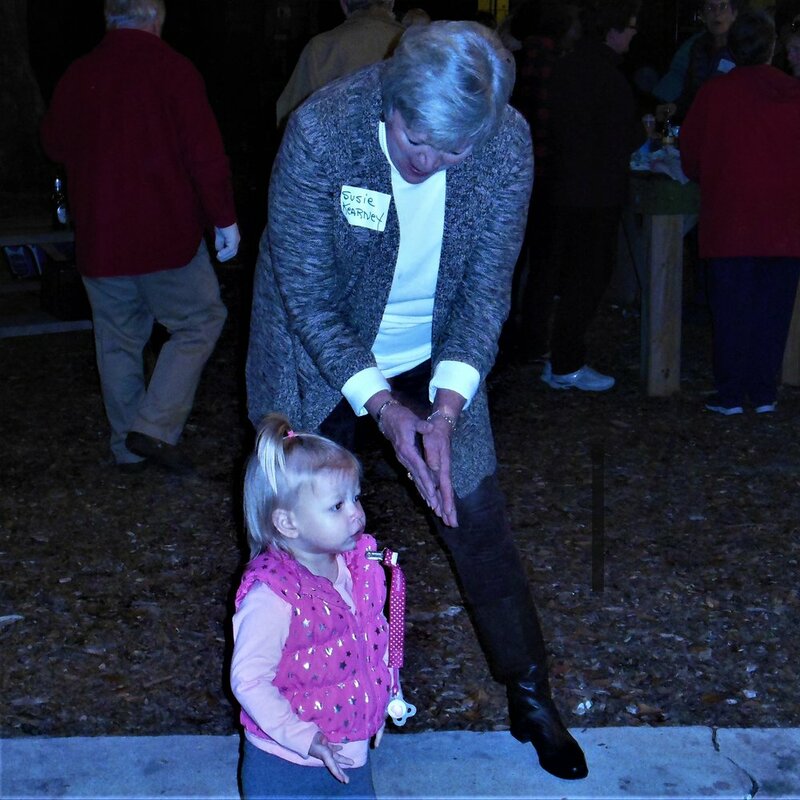 For further information or to join a foyer group, please contact Jayne Krebs at (843) 838-3056 or krebsb@aol.com. Newcomer receptions are organized in private homes to welcome those who have decided to make St. Mark's their community of faith. These small, casual gatherings provide an opportunity for new St. Markers to get to know others on a more intimate and focused basis. In celebration of the Epiphany season commencing in early January, St. Markers gather in a nearby park for an oyster roast, music and fellowship. 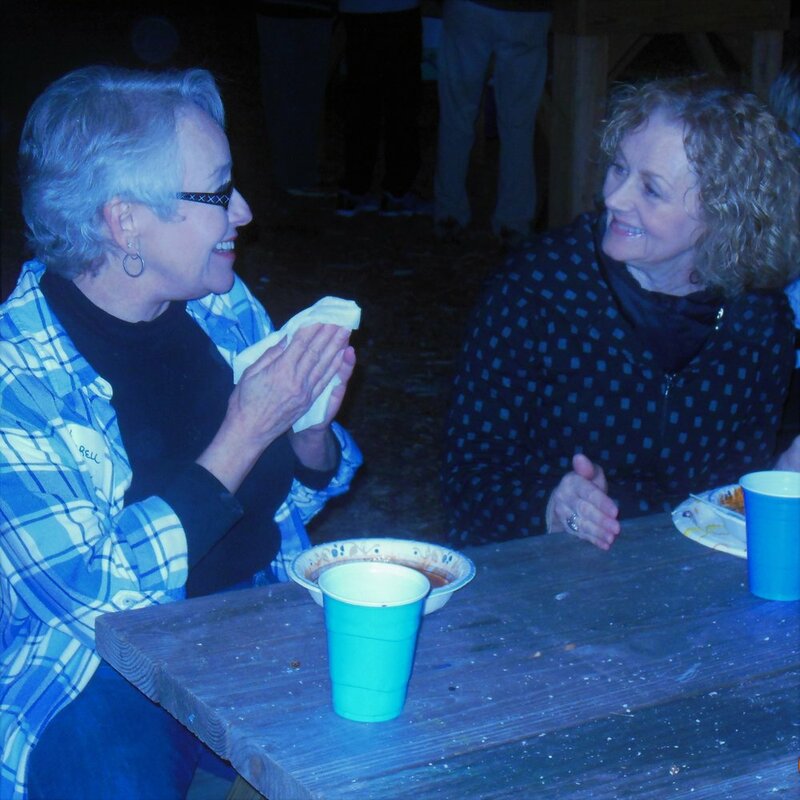 After a brief Epiphany service around a bonfire at sunset, parishioners and guests enjoy local roasted oysters, hot dogs and chili. An old-fashioned covered dish "dinner on the grounds" is scheduled annually on Whitsunday, which usually falls in May or early June. 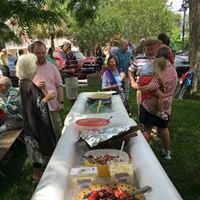 This gives our St. Mark's family a chance to enjoy the outdoors on our shady lot on the corner of Paris Avenue and 11th Street before the arrival of the hot Lowcountry summer weather. St. Mark's offers coffee, tea and cookies in the Center between the services on Sunday mornings during the "school year." Cool lemonade is served on the lovely, shady lawn during the summer months. Newcomers especially are encouraged to come for refreshments and conversation. If you would like to serve on the rotating list of hosts for coffee hour, please contact Celeste Nalwasky, chair of the coffee hour ministry, at celestenalwasky@aol.com.